I’ve been peripherally aware of this game for a little while now but had never had the chance to play. When I saw it on the list at this years Furnace I grabbed the chance to give it a go. My preconceptions were that the game was indie, it’s focus is on fighting as a space marine against a horde of aliens, that success is measured in kills, and that’s about it. Turns out I was right. Furnace starts on a Saturday morning, but unofficially some delegates meet up on the Friday, with one or two organisers for a pint. I’ve done this once before out of the previous three Furnaces, and as some of the Smart Party were joining in this time, we thought we may as well make a proper weekend of it. Friday rush hour traffic being what it is, even finishing at half three with their lazy part-time-teacher hours Lemur and G2 couldn’t get to mine until after seven, but that still left us plenty of time to get up to Sheffield for a few social ones. Inspired by the weekend’s events, I’ve decided to try my hands at using my fingers to wordalise some of my own gaming thoughts. They are few and far between, and that’s why I’m hiding them behind a few introductory words of guff. At worst, they’ll give Evilgaz apathetic headaches. At best, they’ll give him dyspeptic ulcers, and provide some light relief or deep thoughts for the rest of us. This year I attended my first Furnace, a smallish con held in Sheffield, now in it’s 4th year. 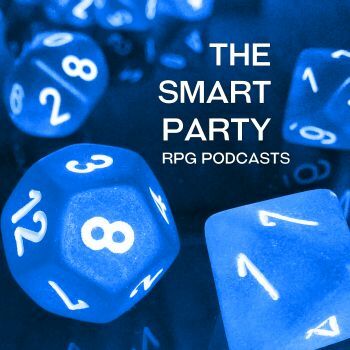 The Smart Party were four strong for this outing, and between us we had 8 games to run that covered the gamut of gaming. The location was really cool, a converted gaolhouse including the original cells to play in. There was a cosy bar that served excellent food. I’d have liked it to stay open a little later but they had beer in vending machines for the desperate, so not so bad after all. The rooms were ‘motel’ like, which means they were fine for getting your head down, but not for much else. That’s all I need from a Con though, and at £25 a night I can’t complain. Breakfast was perfunctory, but appreciated after a long night of game talk.